Our New Jersey employment lawyers and litigation attorneys represent employees, individuals and businesses in a wide range of employment law issues and business litigation. Whether you have been unlawfully terminated from your job or are in need of representation for a commercial dispute, we will provide skilled legal guidance and aggressive advocacy concerning your potential case or other legal issue. Clients rely on us to use our considerable skill, knowledge and ability to seek solutions in their best interests. We pride ourselves on having a hard-earned reputation for being formidable opponents, whether at the negotiation table or in the courtroom. Our employment law practice includes pursuing claims on behalf of employees in all areas of employment law, including, sexual harassment, hostile work environment, employment discrimination, whistle-blower retaliation, wage and hour, FMLA, New Jersey Family Leave Act, unemployment law, severance agreements and all other areas of employment law. Our commercial litigation practice includes representing clients in all areas of business litigation, including representing individuals and small businesses in contract disputes, non-compete agreements, restrictive covenants, trade secret litigation, personal injury, estate litigation and real estate litigation. Our commercial litigation practice also includes representing independent sales representatives in actions against their principals for failing to pay their earned sales commissions. 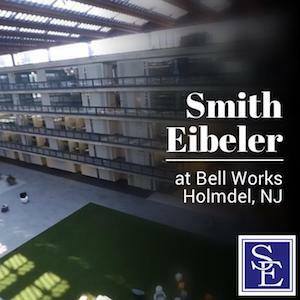 Our New Jersey employment lawyers and business litigators practice are available to meet at our office conveniently located in Monmouth County, New Jersey at the Bell Works building in Holmdel, New Jersey less than one mile off Exit 114 of the Garden State Parkway. To learn more about how we can help you, please call our law office at Bell Works, Holmdel (732) 935-7246 to discuss the specific facts and circumstances of your employment or commercial law related matter with one of our New Jersey lawyers.